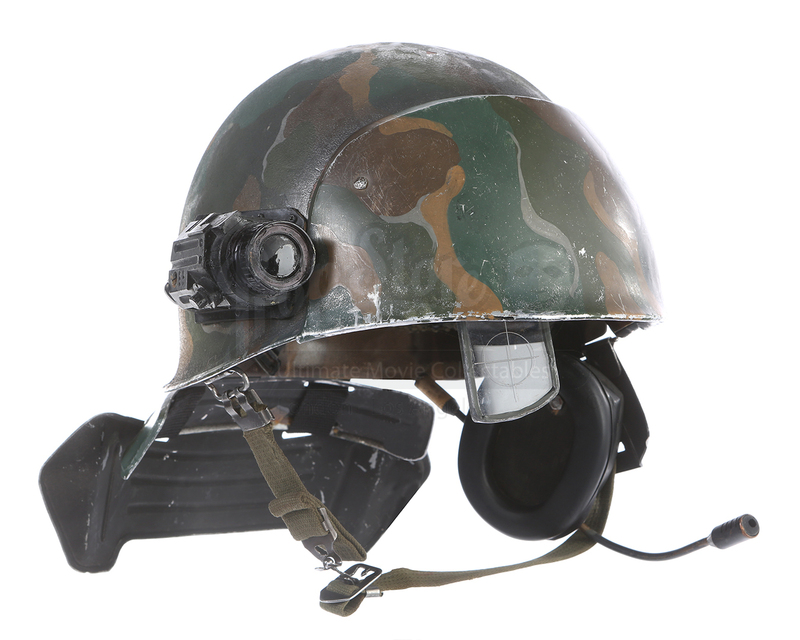 A Terry English replica United States Colonial Marine helmet from James Cameron's classic sci-fi sequel Aliens. 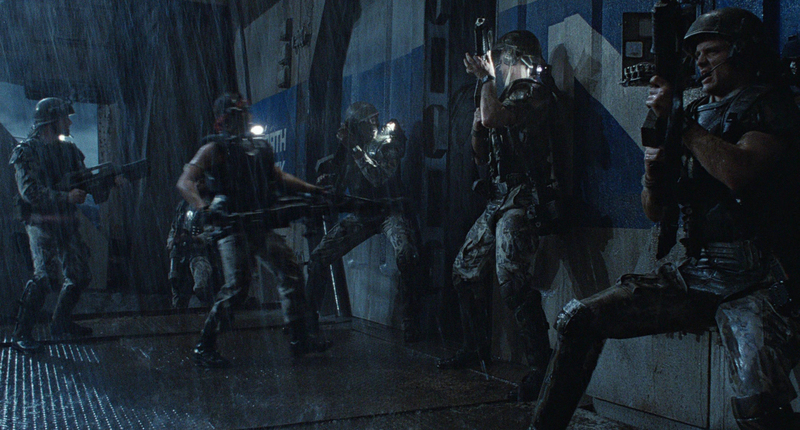 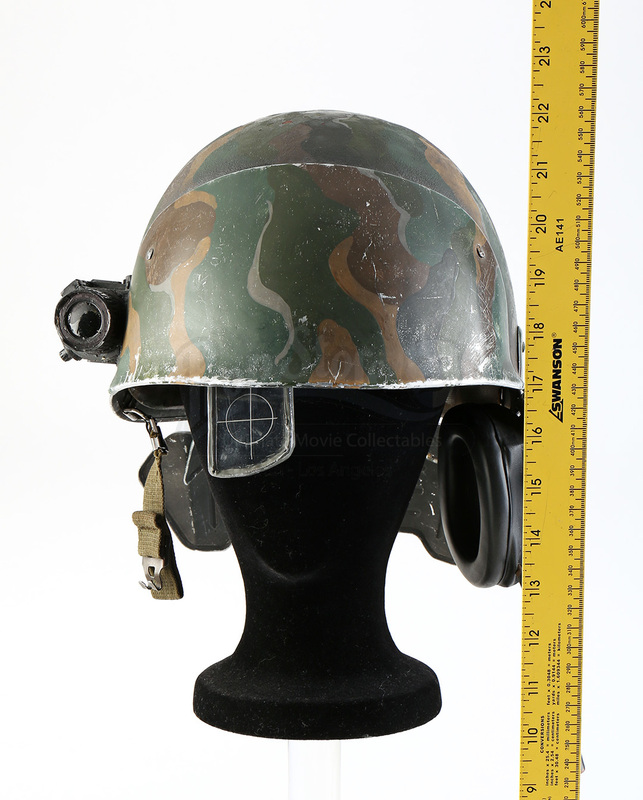 The helmet was made by famous armorer Terry English, who made all of the armor for the film, specifically for a Planet Hollywood display with an original set of Sgt. 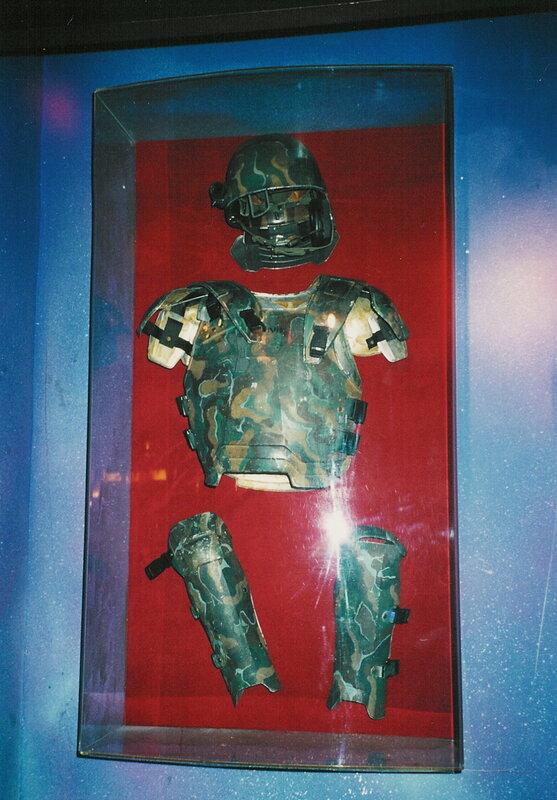 Apone armor at one of their restaurants. 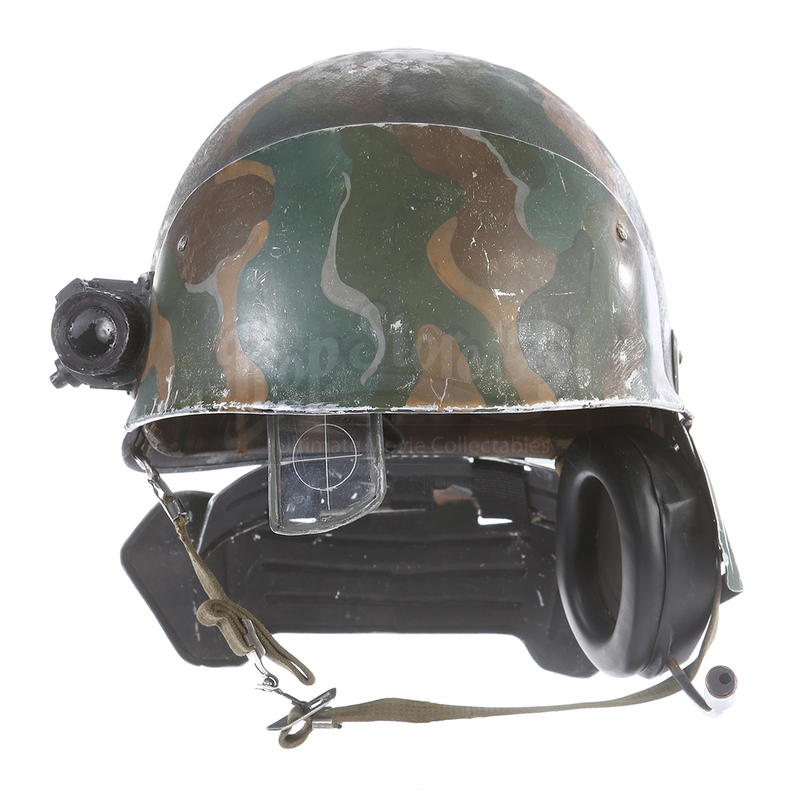 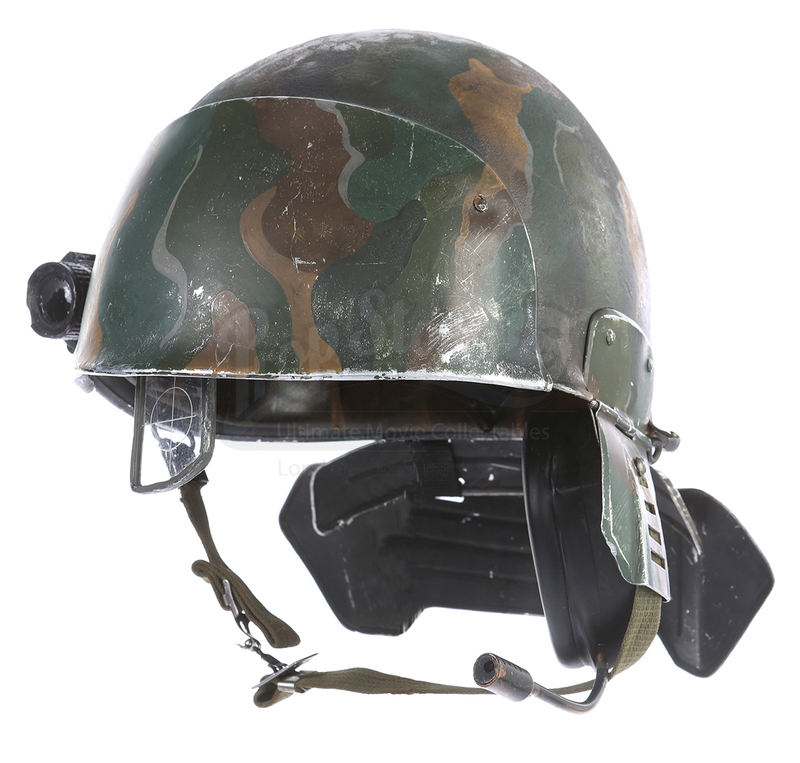 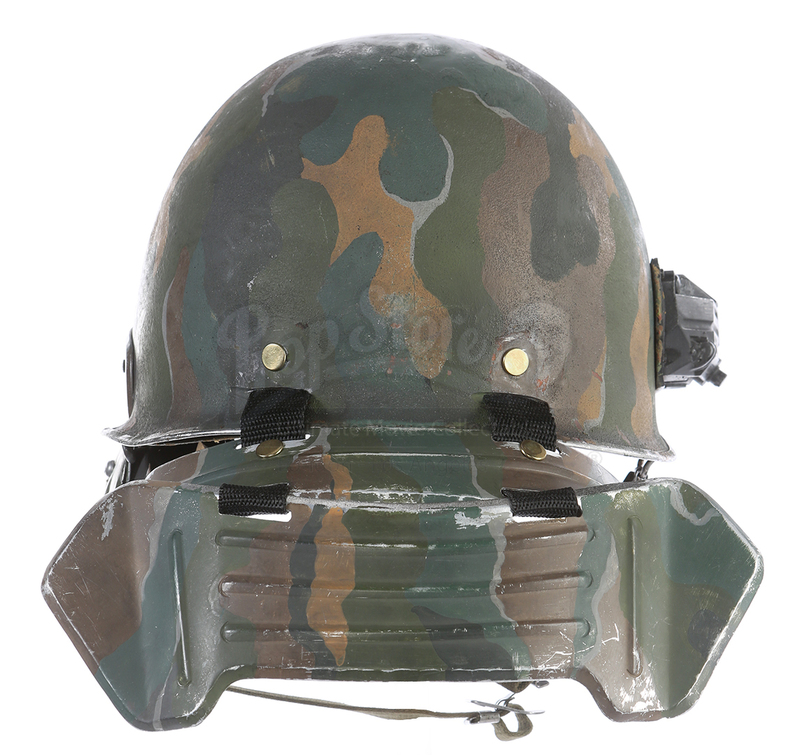 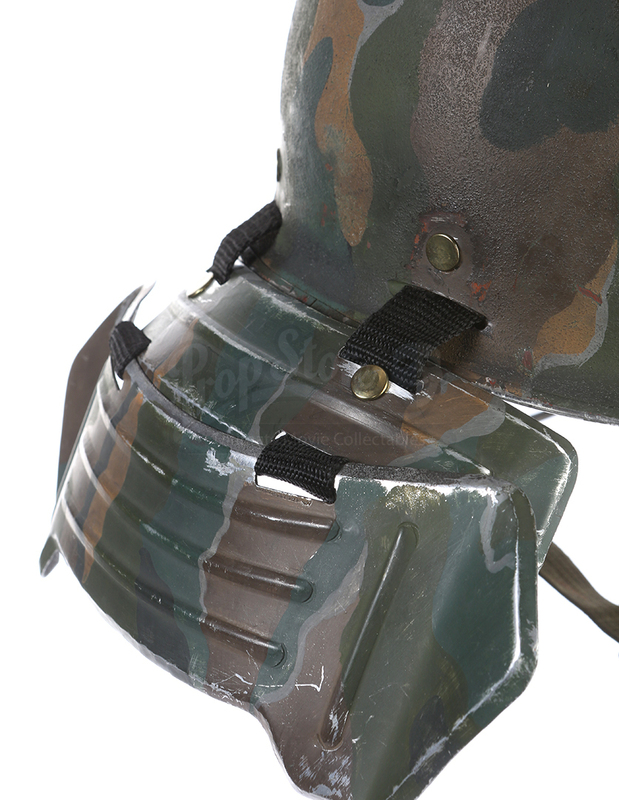 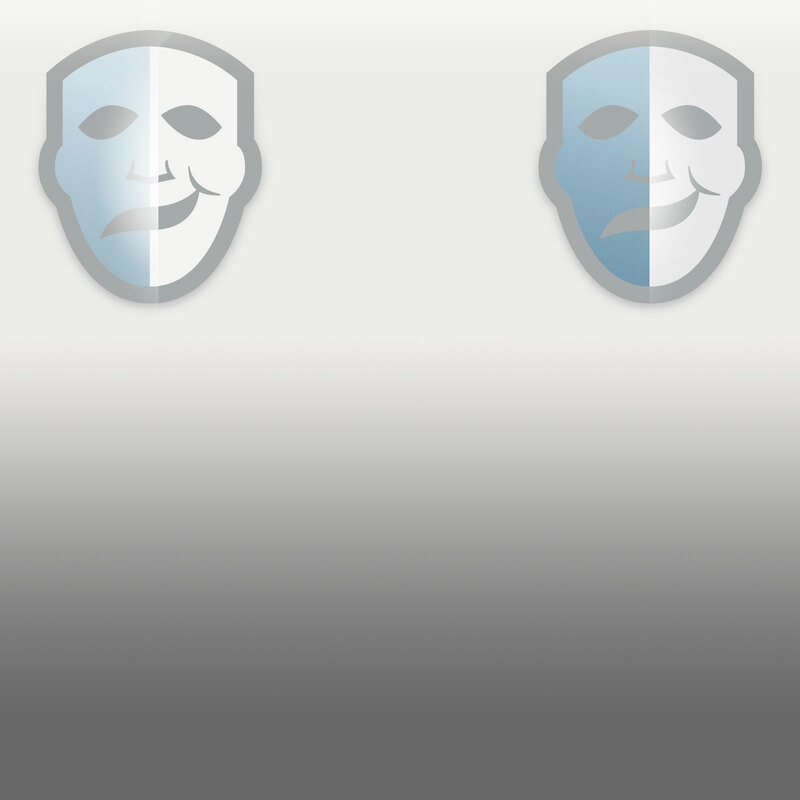 The helmet is made from aluminum and is painted in a military camouflage pattern throughout. 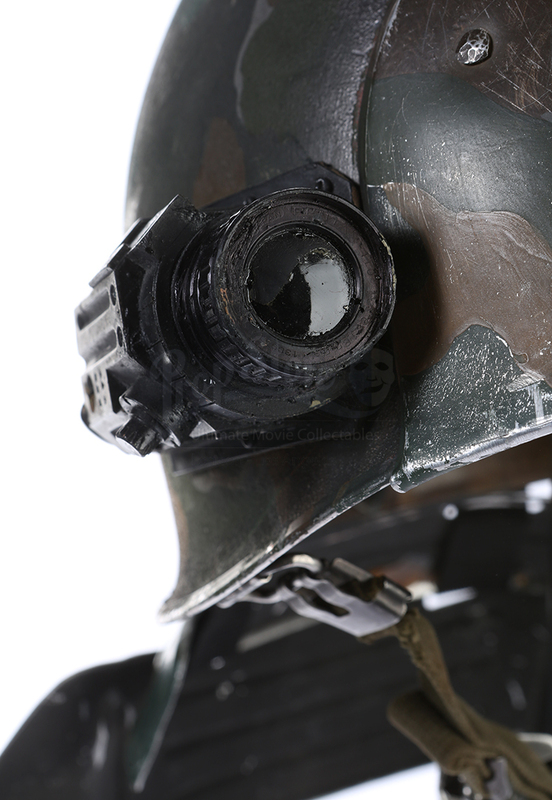 The helmet features rear neck "lobster" plates, a custom helmet camera made from resin ,and a non-functional earpiece with microphone. 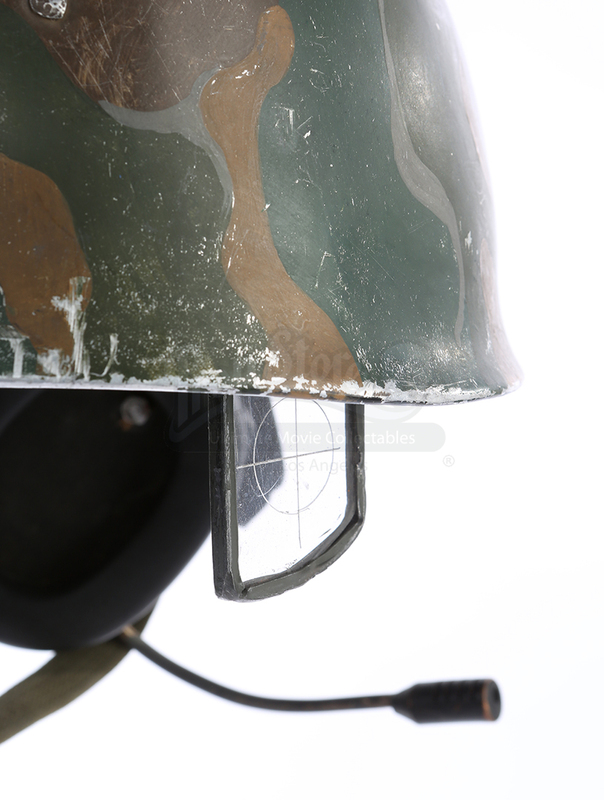 The piece shows some signs of wear from age, but remains in great overall condition.